The telecommunications industry has recognized the strong benefits of simulation as a risk abatement measure to the development of a network based product. Network designers are constantly challenged by the growing complexity of communications protocols and the increasing scale of network deployments. In order for network organizations to innovate, they need robust network simulation software to easily and intuitively model the intricate end-to-end behavior of protocols. The solution must also be able to efficiently analyze the performance of these protocols and technologies in network infrastructure models of realistic scale. We have Riverbed OPNET Modeler network simulation capabilities and expertise for testing out networking and communications protocols at scales that are difficult, not cost effective, or impossible to replicate with hardware. 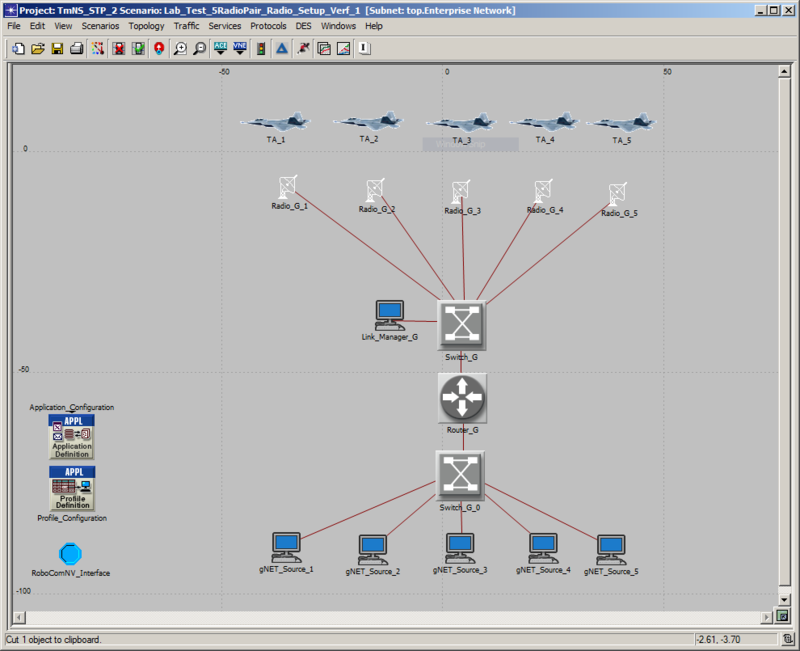 Our OPNET Modeler Suite implements additions to the Riverbed OPNET Network Modeler and Wireless Network Simulator to support wireless networking. When developing networking algorithms for embedded communications devices, the use of a common code architecture greatly reduces the complexity of the development cycle and increases the reliability of the end product. Our common code approach involves the development of network software for the OPNET simulation environment that also targets an embedded system. This marriage of using the actual C++ source code for both simulation and physical hardware implementation results in an efficient workflow between the two environments. Executing the same code in both simulation and implementation assures that the simulation results are relevant to the target’s performance, and that updates are quickly reflected in the performance results under both environments. When developing the OPNET simulation models and source code, while the entire OPNET simulation development does not extend to the embedded platform, our goal is to ensure that the most important algorithms are “common coded” between the OPNET simulation and the deployed platform. Refer to the post Common Code Simulation Architecture for more information on common coding techniques between OPNET simulation and embedded platform developments. Development and analysis in Riverbed OPNET Modeler is a discipline that has a steep learning curve. It takes many years of practical hands-on experience in this environment to become an expert with this tool and unlock the power of OPNET. If you need to perform network modeling using OPNET Modeler, we can help out on that effort substantially as we have significant experience and expertise. We have been working with OPNET modeler in modeling custom network protocols in research and implementations for more than a decade.